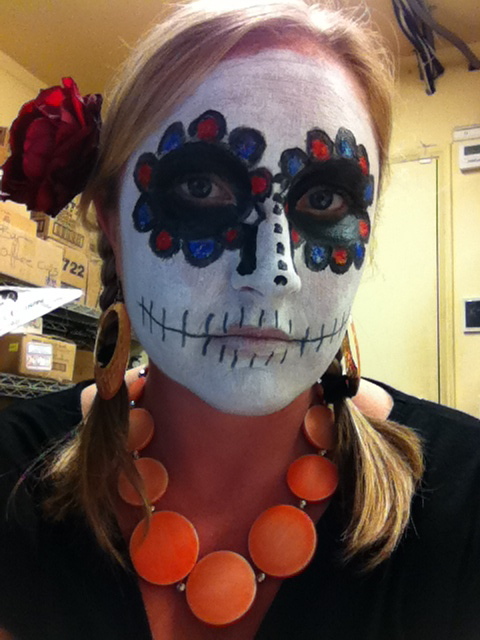 When I first heard of the “Day of the Dead” as an important Mexican holiday, I was skeptical of its traditions and fairly certain I would never participate in what many told me was a “mockery” of death. Here in the U.S., death is a somber, reverent occasion. Once the funeral passes and the mourning casseroles are all eaten or discarded, I think our instinct as Americans is to hurry on with our lives and put the grief behind us as well as we can. It’s safe to say most of us don’t have parties to bring up the subject of our dearly departed each year. Yet, after learning all about this Mexican tradition and celebrating it myself for the past few years, I think perhaps we should celebrate our deceased loves ones in some way more often. In case you’re still not convinced, I’ll try to share the short version of how to celebrate El Día de los Muertos, as well as the meaning of some of the traditional items associated with this holiday. A true Day of the Dead celebration begins at midnight on October 31. The souls of departed children (Los Inocentes) are said to return on November 1st, which coincides with the Christian holiday of All Saints’ Day. On November 2nd (All Souls’ Day), the souls of deceased adults have their day, the actual Día de los Muertos. Traditionally, the loved ones’ souls are honored in cemeteries, in family homes and, in some regions, they are also celebrated in parades and/or town gatherings. In many small towns in Mexico, preparations for the party begin weeks in advance. Festive sugar skulls are created and sold almost everywhere, pan de muerto (a sweet bread that may have a small skull baked into it) is prepared, and the final touches are placed on altars to honor the departed souls in a tradition that is reverent yet somehow overwhelmingly positive in its spirit. Families create altars as an offering to their loved ones, and these altars are meant to remember the dead in a happy, lighthearted manner. This is where I disagree with descriptions of this holiday as mocking death. It is not mocking in a negative sense, but rather seeing death as a part of life and thus not letting it drag you down with it. In many Mexican villages, families visit the cemetery where their loved ones are buried and spend the day cleaning the gravesite and bringing offerings of foods and other items the deceased enjoyed while they were living. 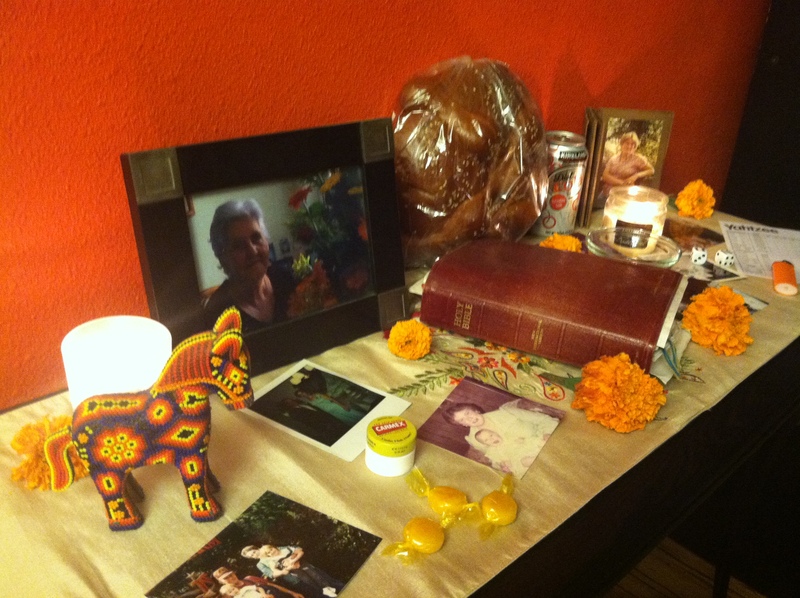 Photos: A photo of the loved one is always a central part of any Day of the Dead altar. 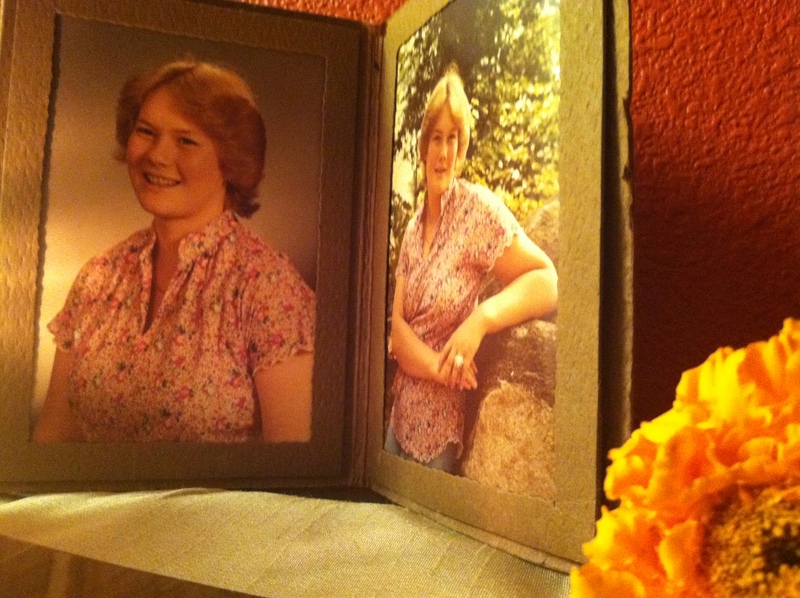 The photo can be framed and its purpose is to show who is being honored by the altar. Foods: Many different foods can be used on the altar, ranging from traditional choices such as tamales or sugar skulls to whatever the deceased family member loved to eat most in life–be it chocolate chip cookies or pumpkin pie! The purpose of the food is to nourish the traveling soul after his or her long journey from the Other Side. Water: The altar is not complete without a glass of water to quench the spirit’s thirst upon his or her return. I substitute a Diet Coke, which I know my loved ones would appreciate even more than water if they were thirsty. Candles: Candles are placed on the altar to guide the spirit back to his or her loved ones. I always use vanilla scented candles on my mother’s altar because she absolutely adored them in life. Flowers: A special flower–cempazúchitl (marigold)– is used on the altar for the the Day of the Dead celebration. It is said the scent of the flower draws the soul of the loved one back to the altar for their yearly visit. Other Items: As you might have guessed by now, each altar is different based on the individual being honored. Some other common items found on some altars include salt (said to purify the offering), colored paper (cut into decorations to make the altar even more attractive) and anything else the deceased was passionate about in life. I have seen many different kinds of tributes on Day of the Dead altars, from Old Bay seasoning to Jack Daniel’s to crossword puzzles! This is what I love most about this holiday. It is truly about reliving the positive memories your loved one gave you–not mourning or crying, but rather celebrating death as an inevitable part of life.